Disown me, if you wish. Although, until now, i’ve never owned anything from Charlotte Tilbury. I’ve heard a hell of a lot about the products but I’d never got round to actually trying anything. If you know me, you know that I just cannot live without lipstick. If I had to pick my favourite bit of makeup, that I get the most joy out of buying and wearing, it would definitely be lipstick. Bearing that in mind, what else would I buy from a new brand? 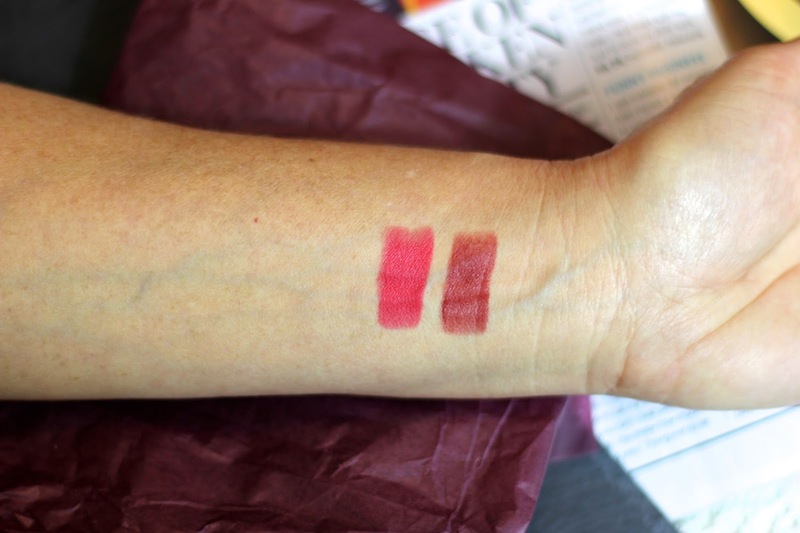 I love a good matte lip too, but often find them very drying and uncomfortable to wear, because of this, I was incredibly intrigued when I heard about the claims of the matte revolution lipsticks and then their glowing reviews and let me tell you know, they do not disappoint. I picked up two colours, one in the shade Lost Cherry – a gorgeous pinky coral and the other in Walk of Shame which is a browny purple. They are both gorgeous. Like, absolutely beautiful. To look at, and to wear. They 100% do not feel anything like what you would expect of a matte lipstick. Full of moisture that doesn’t affect longevity but instead just makes the experience of applying them really luxurious. I also really enjoy the squared bullet, don’t really know why, I can’t explain it, but it’s great. Oh… Before I forget, the PACKAGING. It’s absolutely gorgeous, rose gold, sleek and just pretty. Next on my Charlotte Tilbury list: The Bronzer and Highlighter palette. Mmm. 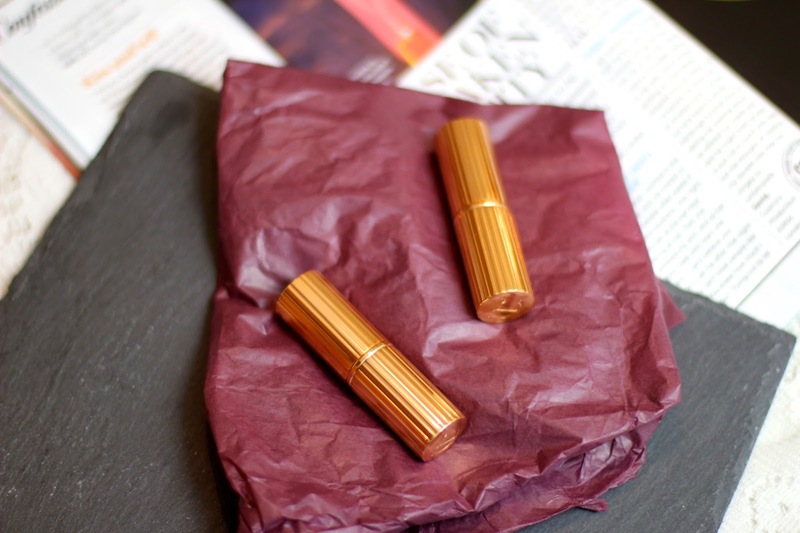 Charlotte Tilbury lipsticks are just so lust-worthy! 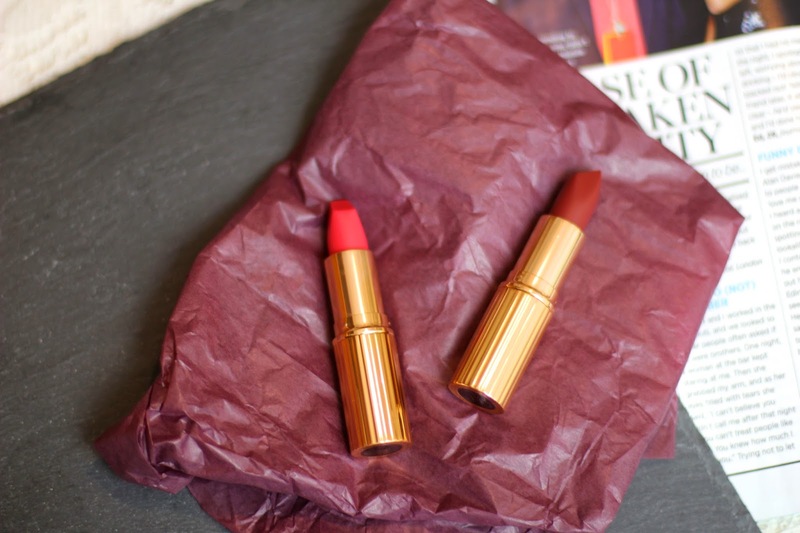 I'm more keen on brown lipsticks so right now, Shame is looking particularly gorgeous!